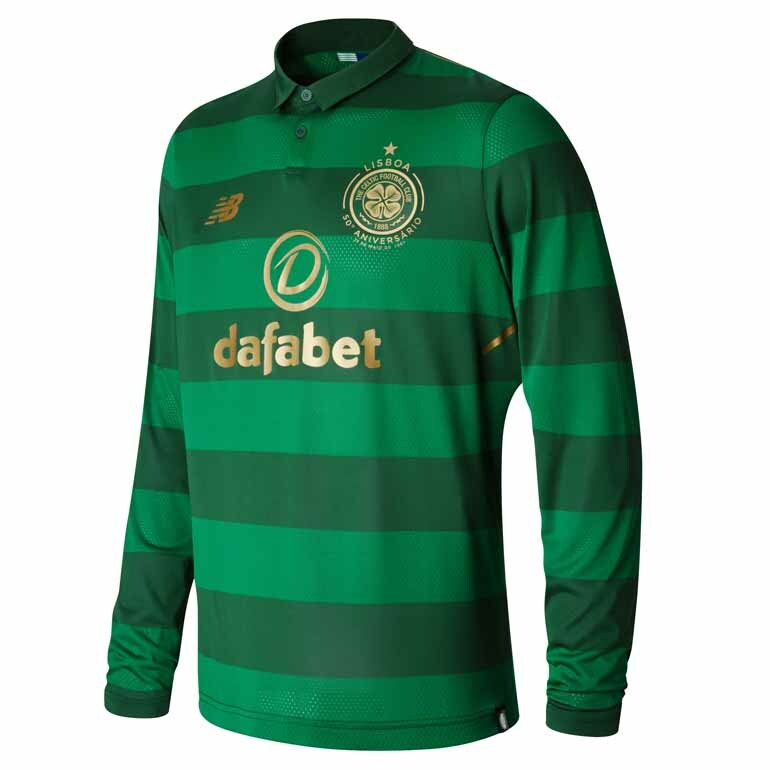 New Balance releases the new Celtic Away Shirt for 2016-2017 – designed with classic green hoops. 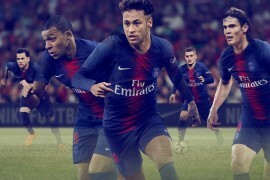 The Bhoys switch from their black away kit to an all green kit this season. 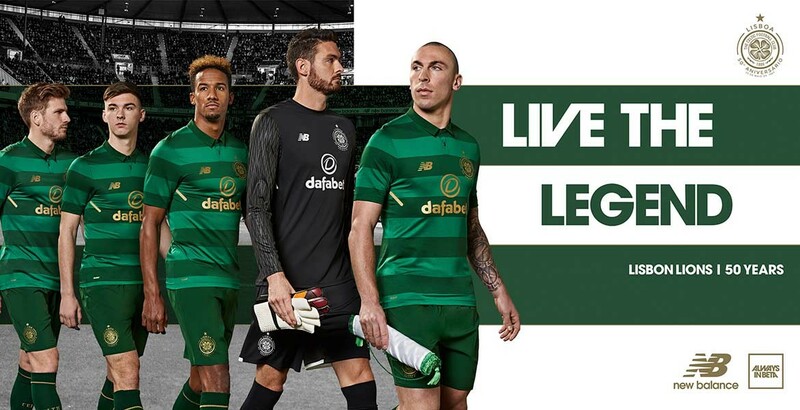 The new strip is backed by the ‘Live the Legend’ campaign and celebrates the club’s 50th anniversary year since the iconic Lisbon Lions European Cup final victory (1967). 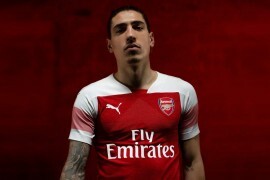 The shirt features a Verdant and Eden Green hoop design with gold NB and sponsors branding, completed with a woven buttoned collar and gold trim shoulder seam. 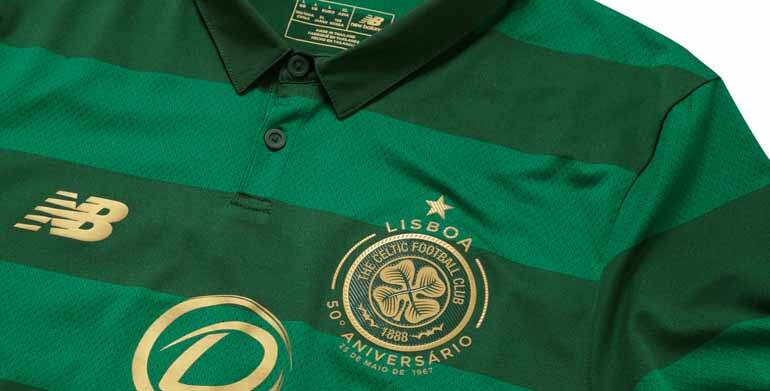 The kit features a special textured 50th anniversary gold crest. 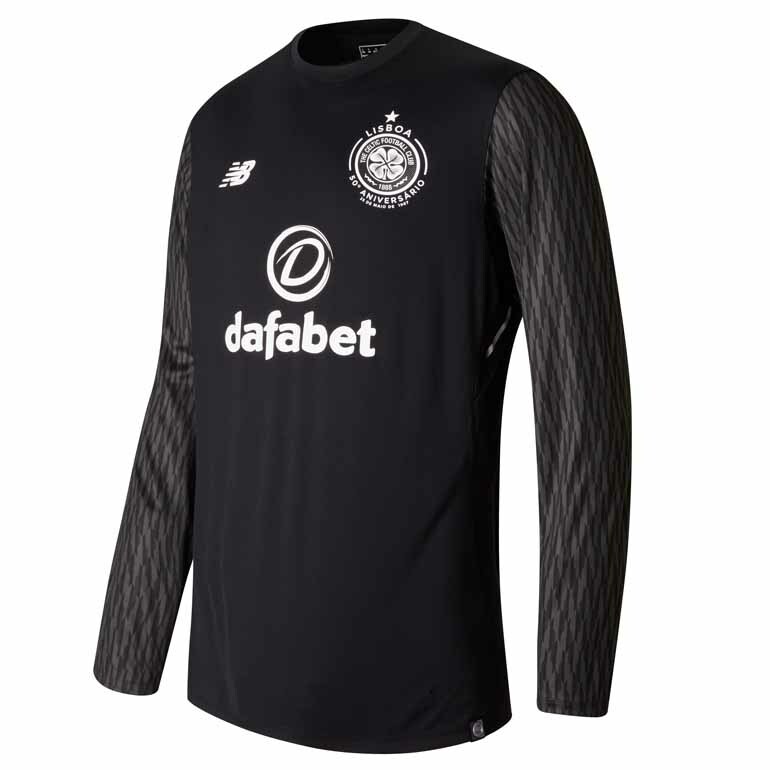 The two teams who competed in the 1967 final have been commemorated in the inner back neck of the jersey, where the green and white hoops of Celtic and the black and blue stripes of Inter Milan are featured. 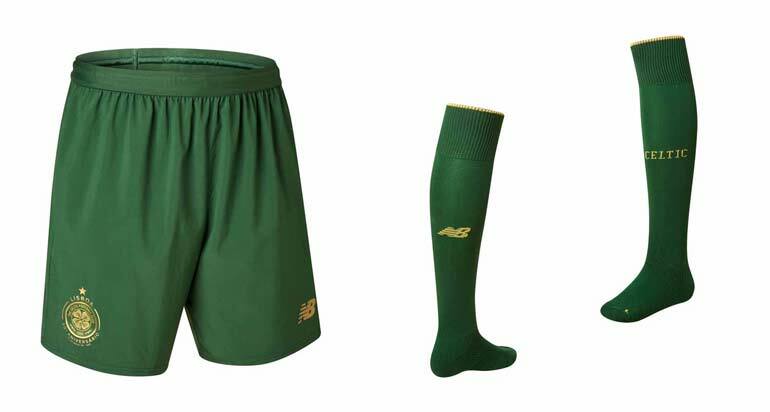 The kit is completed by Eden green shorts and Dark Green socks with a narrow gold trim. To offer added support to the ankle, the socks have built in comfort zones and the footbed has been developed with polypropylene to alleviate excess moisture when the foot makes contact with the boot. 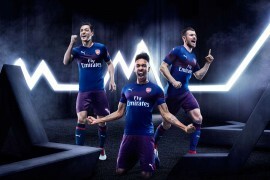 The goalkeeper kit has been engineered in line with the outfield players’ jerseys, sporting a mock vent and back jacquard cage system to compliment the outfield kit aesthetic. The all black design with white crest, sponsor and NB branding has a strong look, completed by the tonal three colour sleeve pattern.